Now Includes SignStudio Pro Software - No monthly or yearly fees! The Andriod-150 delivers stunning graphics and HD video content with its powerful ultra compact 1.7GHz quad core processor. The Samsung Exynos4412 CPU is the same processor used in the most powerful Android tablets; and now you can enjoy the latest in high tech processing right on your signage displays. The Android-150 has 2GB of operating memory. It also has a special Micro MMC 8GB chip for storage capacity to cache campaign’s files, just incase internet connection is disrupted; the MMC chip is about 100x times faster than conventional Micro SIMMs. A smooth aluminum case ensures the device runs cool and the entire unit measures at only 140x110x25mm, a perfect fit behind your Digital Signage display. So whether you are placing an interactive kiosk or delivering an elaborate static presentation; a properly executed solution helps to engage customers, and solidifies the relationships between brand and consumer. Digital Signage promises to produce a lasting impression that helps strengthen loyalty for new and repeat customers, and the Android-150 delivers on that promise. 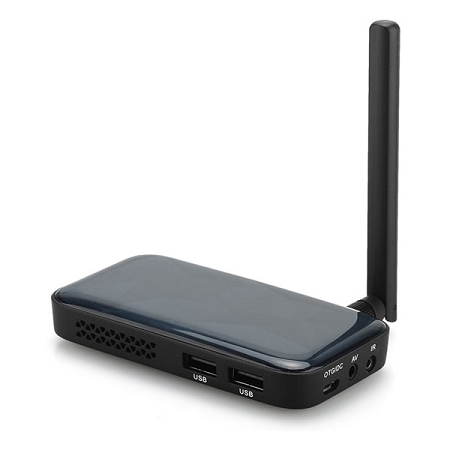 This high end Android based device can deliver smooth 1080P video content and ships pre loaded with the full version of our SignStudio Android app, so you get all the same set of features in a low cost, low powered, plug-N-play, stateless computer. The device ships with a special baked Android operating system, that was developed to deliver a none interrupted continues playback of your campaigns. Simply plug the included HDMI cable onto a screen and use the built in Ethernet module or wifi module to connect to your local area network. The device is powered by an included 120/240V power supply. Choose the Android-150h to drive any screen in Horizontal / Landscape mode or Android-150v that will drive any screen in Vertical / Portrait mode; both are compatible with any HDMI screen.